We read a piece by Dan Barnabic giving 5 Reasons Not to Retire Abroad. In all fairness, we believe there are two solidly different camps: those who could easily move abroad and thrive and those for whom that decision would be a disaster. I doubt that the twain will ever meet and they don’t need to do so. Given that, we thought the reasons Mr. Barnabic gave were tired and bordered on fear mongering, which is silly. No one is pushing people to move overseas in their retirement and there is nothing wrong with someone who decides to stay in the States or Canada during their Golden Years. There are valid reasons for each side of the coin and plenty of room in retirement communities for everyone to have their place. Some people enjoy having four seasons but we haven’t spent time in snow country for decades. If we want snow or freezing temperatures, we can always visit mountains or the U.S. or Canada in the winter for a couple of weeks. We definitely don’t want months on end of frigid wonderlands and prefer the gentleness of tropical breezes. It’s easier on the wardrobe as well, and since we carry everything with us, it makes for lighter travel. 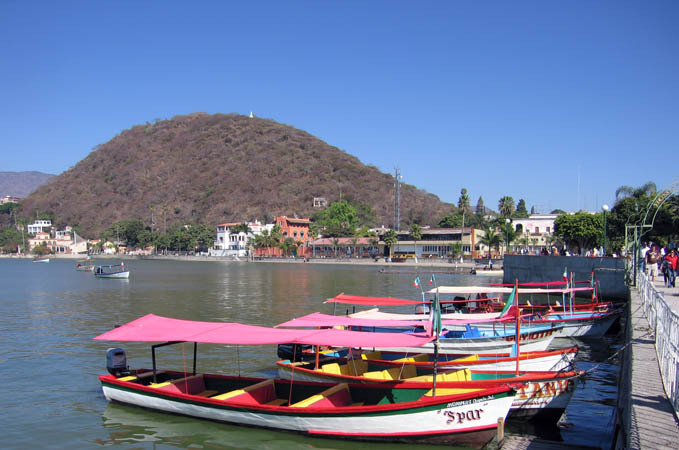 One of our home bases is Chapala, Mexico, and National Geographic claims this town has the second best climate on the planet! And with the largest expat community in the world, mostly US and Canadian, residents tend to agree. Sure, we live in countries where language could be an issue, but it isn’t. Doctors in Latin America and Asia are often U.S. trained and speak English and are able to communicate about health issues. To be able to walk in without an appointment is a huge benefit and we often do so and have same-day or next day service. From Thailand to Mexico to Guatemala we have had our share of medical experiences with highly positive outcomes. There are many reasons that foreign countries can offer better cost of living. Less regulation, insurances and government intrusion are just some of them. It is not uncommon to be able to afford maids and gardeners for your home whereas in the States the cost might be prohibitive. Dining out, entertainment options, even travel to the beach are all low cost compared to similar choices in the States. In Thailand for example a plate of stir fry veggies with chicken, pork or tofu cost $1.50, in Chapala, Mexico a fine dinner out for two at an Argentine steakhouse might set you back $25.00 and even less in Antigua, Guatemala. Public transportation and taxis are readily available so you may be able to get around without owning a car – another major savings. When people move overseas, often times social stereotypes and cliques are dropped in favor of less pretentious friendships and community goals in the new location. Common interests and values replace judging a person by the address where they live or the name brands they wear. It’s freer, friendlier and much more open. Volunteer opportunities are everywhere and often there are dozens of special interest groups - from bridge clubs, golf, tennis, to animal rescue - which bring Expats together. There are celebrations and festivals constantly. Every day is not the same ol’ same ol’ because even simple errands are being done in a foreign country and can be an adventure. There is an overall new flavor to daily events. Regulation is noticeably less than North of the Border and that has its appeal. There are more choices and less taxes. Buying most prescription drugs is as easy as walking into a pharmacy and asking. No need for a script from a doctor. Having an adult beverage on the beach while watching the sunset is morally acceptable. Even smoking is permissible in common sense locations. While living in a foreign country is definitely not for everyone, there are plenty of reasons why living overseas makes for a rewarding retirement lifestyle. The only way you will know is to try it for yourself. Don’t let anyone else decide for you.